According to the calendar Spring has arrived. But when I look outside, I’m seeing snow fly by. So how do I fight mother nature? 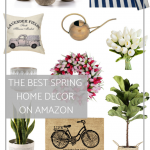 By filling my house with Spring decor, of course! 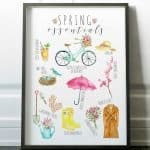 I just finished a simple little Spring project in my dining room. My table now has a beautiful Spring Succulent Garden as a centerpiece. I have to confess, up until about two days ago my planter still had pine cones in it from Christmas. Yep. It’s April now so it’s time, don’t ya think?! 😉 I love the pop of green this new succulent garden adds to the room. It’s a visual reminder that greener (and warmer) days are ahead. Woohoo! I would have LOVED to use real succulents but my planter doesn’t have a liner. It seemed like it would be more work to protect the pine so I just went the faux route. 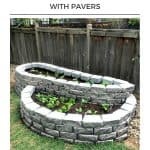 Since my foam blocks were taller than my planter, my first step was to cut them in half. Then I simply started placing them in my planter. Then I trimmed each stem down and started inserting them into the the foam block. Once I got everyone situated, I covered the block with the moss and filled in the gaps. So now my dining room is officially ready for Spring, even if the outdoors is not! Now this garden may stay until Christmas…who knows? But since it’s so pretty, I don’t think I’ll mind looking at it for that long. 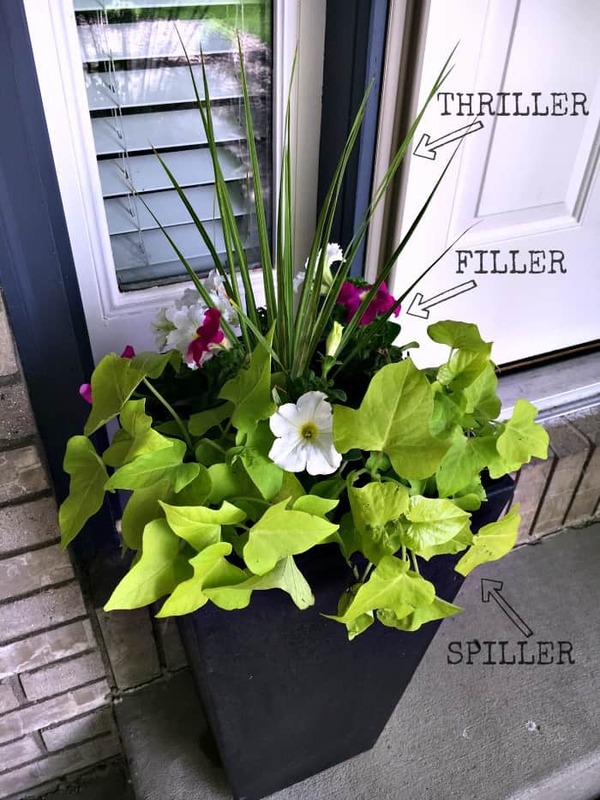 If you are looking for some garden ideas for outside…be sure to check out my post on Container Garden Tips and learn my thriller, filler, and spiller method. This is really pretty Laura. 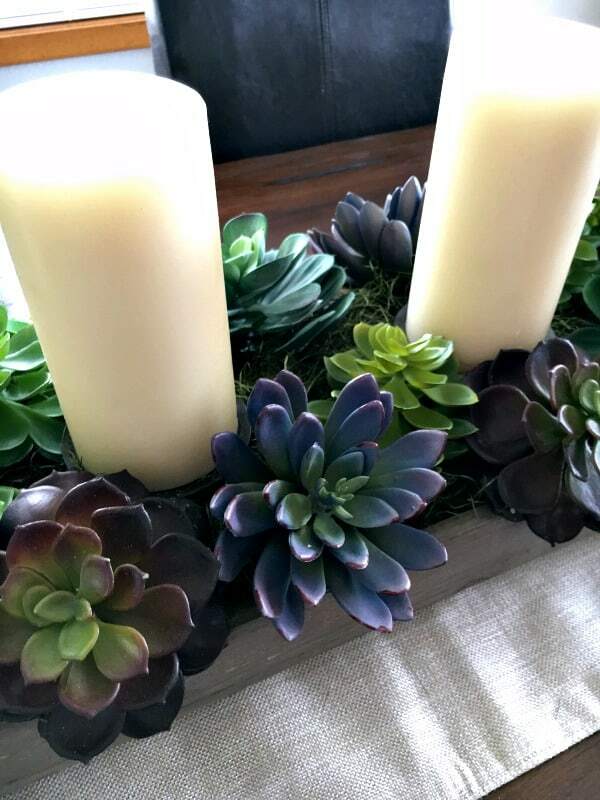 The succulents look real and can definitely be used all year. Maintenance free plants, that’s my kind of decor. And I’ve still got a snow shovel on our front porch…right next to the welcome spring sign! It happens! 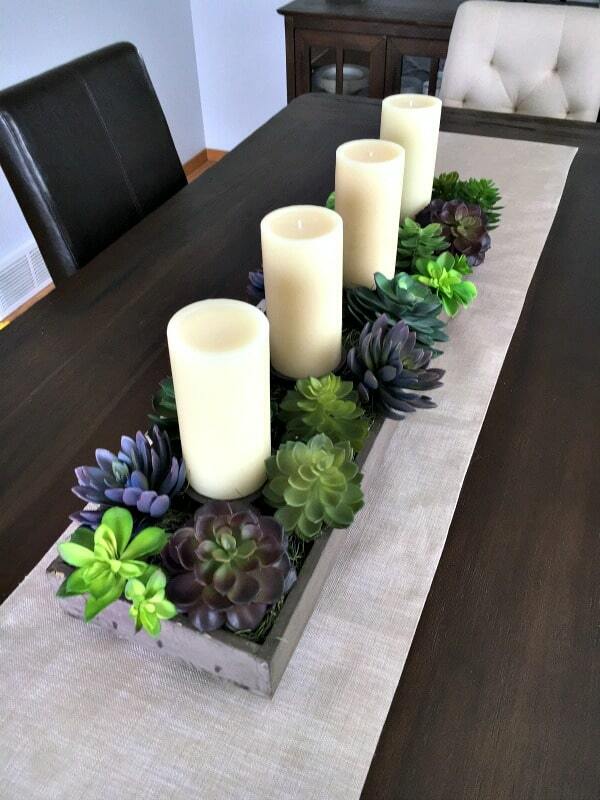 Laura, your tray of succulents and candles is gorgeous! I love the candles in there as well. I like the idea of covering any foam sticking out after putting the succulents in with moss. However, for my pocketbook, I found those individual succulents at DT for $1.00 each so instead of spending the $25+ at Amazon, mine are much more affordable. I love DT – I use Amazon a lot, though. 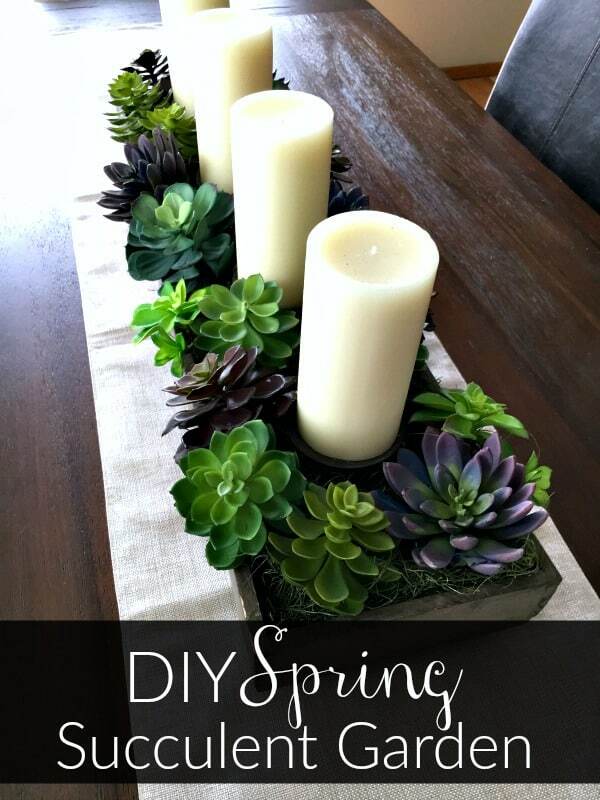 Your succulent garden looks so pretty on your table. 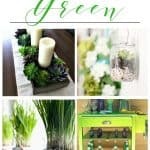 I like decor like this that will last from spring through summer. It’s got the farmhouse look which is super popular right now, too. I need decor like this in my life! Lovely idea! I purchased 24 plants from Dollar Tree for $24. 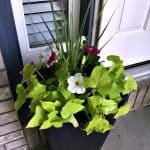 They are smaller and in individual pots, which I removed”. I like them a lot. hobby Lobby also has them, but buy when half price. Great score at the Dollar Tree, Eileen. 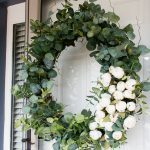 I actually purchased mine from Hobby Lobby during a floral sale because I thought they would be included. But the sales associate told me the succulents never go on sale because that particular brand does not do sales. 🙁 Such a bummer. This turned out so pretty Laura! I just picked up some succulents for a project the other day. I kill anything green so fake plants are the way to go for me! 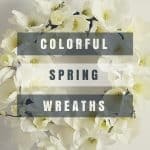 This is a beautiful Spring centerpiece. It will be perfect on your table all year long. 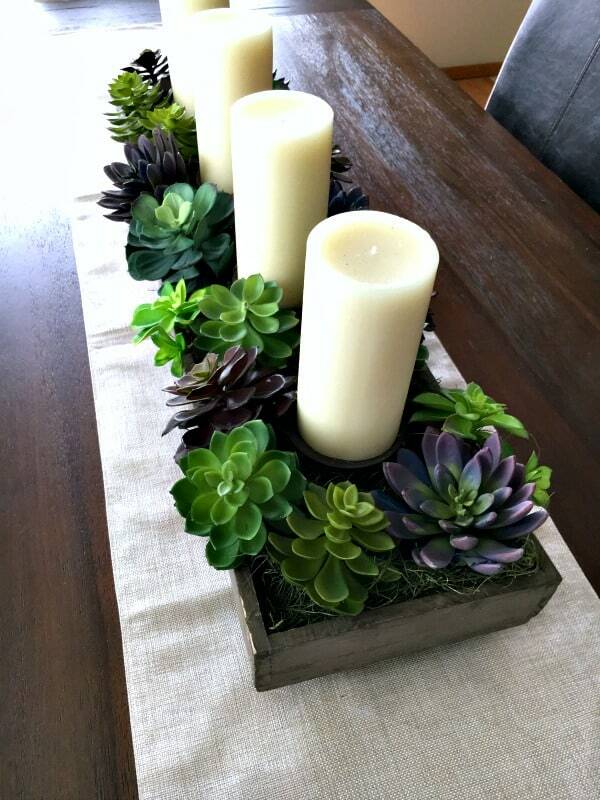 Faux succulents are the way to go, aren’t they? No watering and they always look gorgeous. I love succulents faux and real. Your centerpiece turned out lovely. 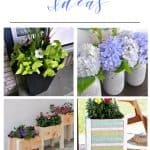 I have been seeing the use of succulents in so many ways this spring, I love the idea of using artificial with no worry about loosing them. Great project! I love this idea so much! It turned out so great! I’ve been seeing a lot of low-lying boxed centerpieces lately, and this is another great one! Definitely wanting to give this a try. 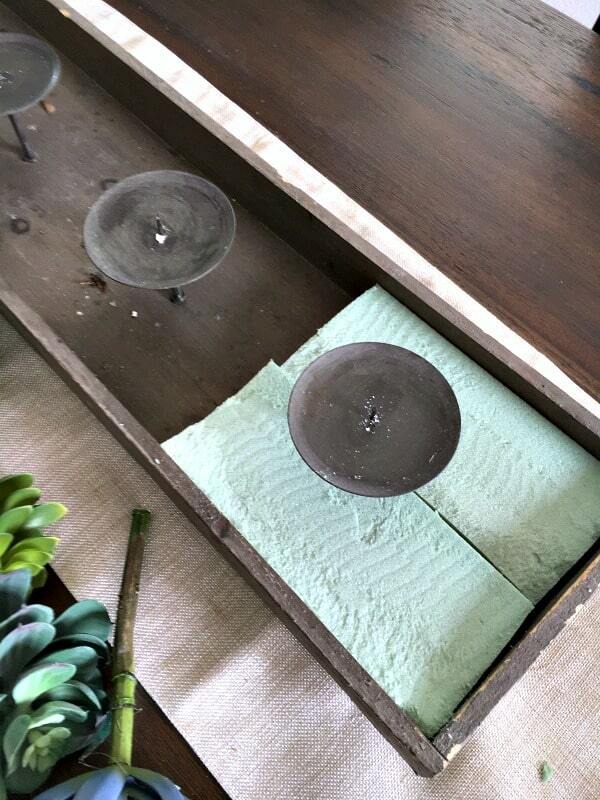 I have been trying to make something like this but cannot seem to find the metal candle holders anywhere. Where did you purchase yours? Thanks! I thought the candle holders were separate but I now see that they are attached to the planter. I was going to try and make my own but just purchased this one instead. Thanks so much for the link!